Size of this preview: 395 × 600 pixels. Other resolutions: 158 × 240 pixels | 1,180 × 1,791 pixels. Conversion from ECDSA public key to Bitcoin address. 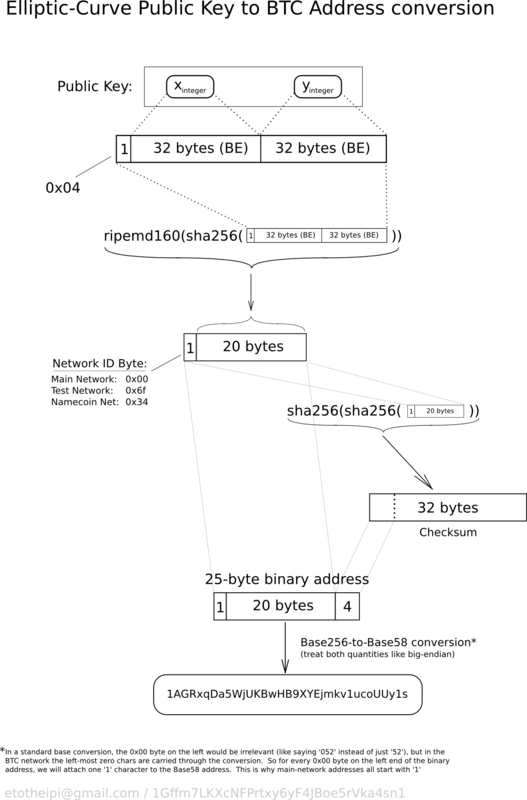 01:52, 21 August 2011 1,180 × 1,791 (198 KB) Etotheipi (talk | contribs) Conversion from ECDSA public key to Bitcoin address. This page was last edited on 21 August 2011, at 02:02.